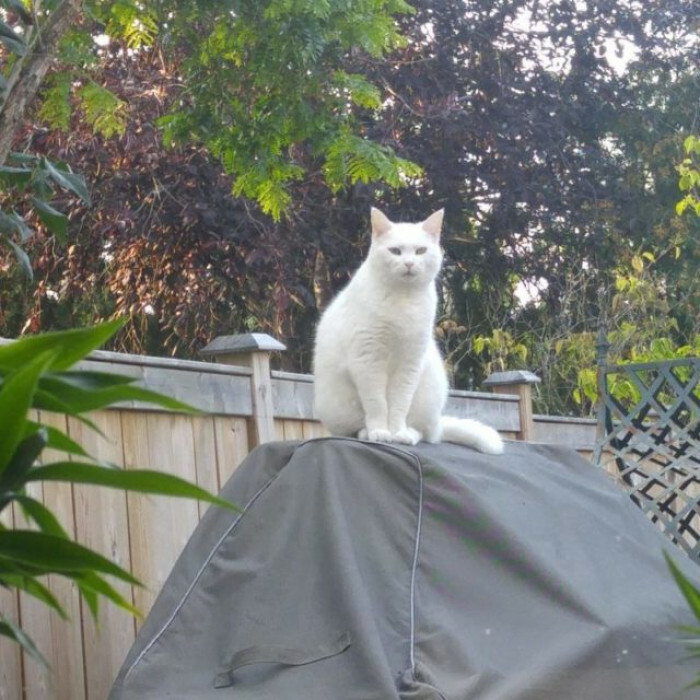 Everyone that has owned a cat before or has a cat will know that they absolutely love going on adventures around the neighborhood. Whether they are searching for that treasure full of treats, catching birds or even just teasing other animals, they are at their best when they stroll around with no worries at all. When they are out and about they tend to get hungry, thirsty or just need some love, but they aren't ready to go home yet so what do they do? They pay a visit to their neighbor in the hope of getting something tasty. 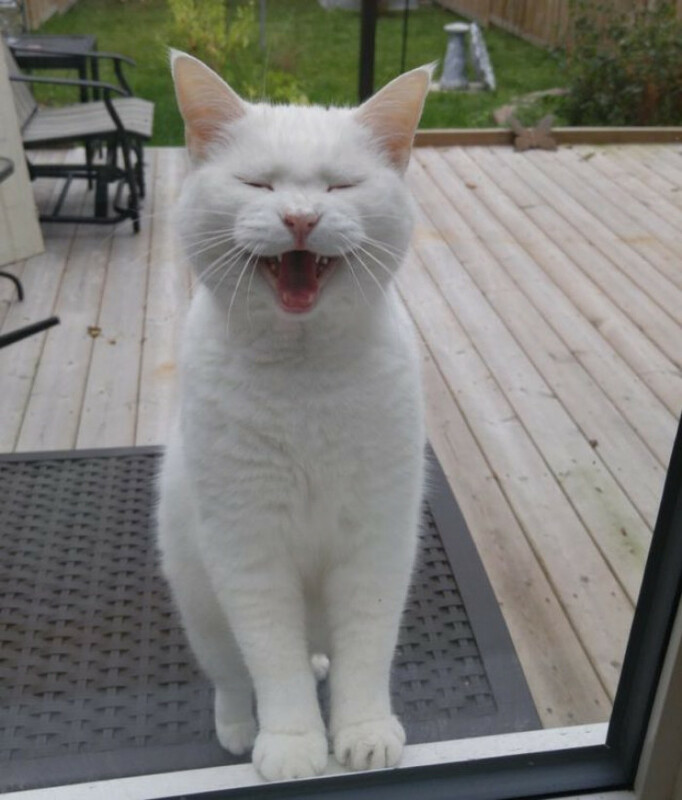 Imgur user Antoine2449 has had a visitor every day for a year now and each and every time they would snap a photo of the adorable kitty. 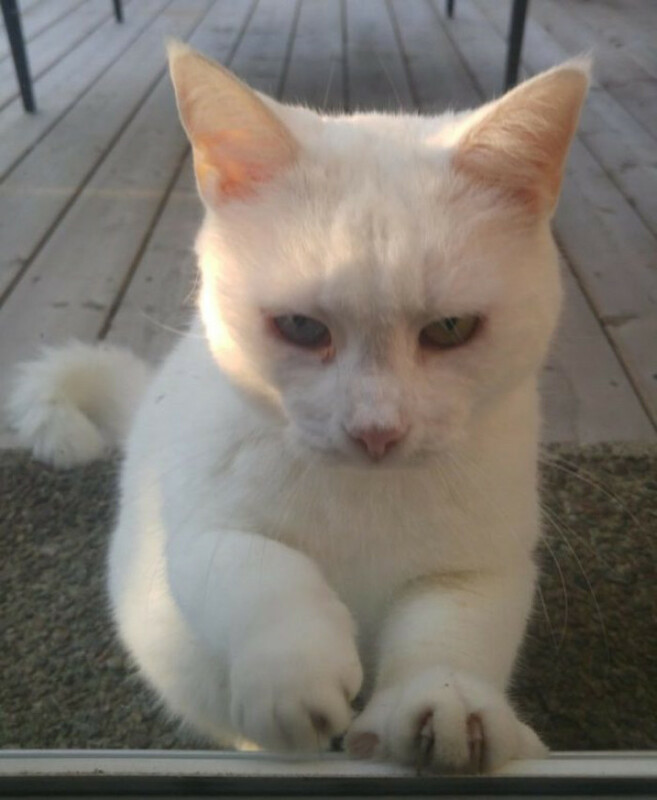 It all started when a cat named Mama pitched up on the back porch. Antoine2449 obviously let the cat in and showered her with loads of scratches and love. Ever since their first encounter, Mama has not let a day go by without paying a visit to her favorite second family. When Mama arrives and her second family isn't outside she would do they cutest thing ever! She will look through the window to see if they are inside and then she will knock on the window with her paw. 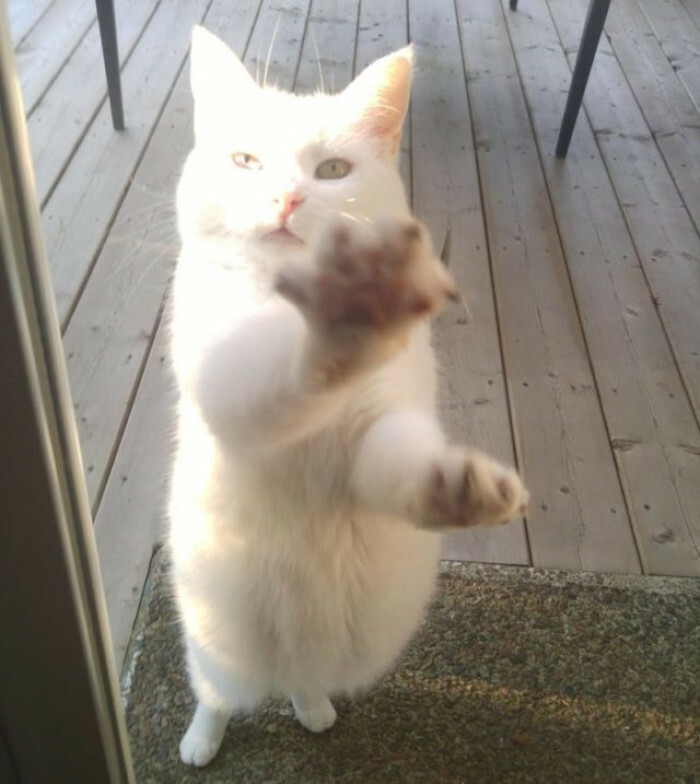 "She meows and paws at the window or patio window to try and get our attention. If she doesn’t see us she will sleep on the patio furniture waiting for us." 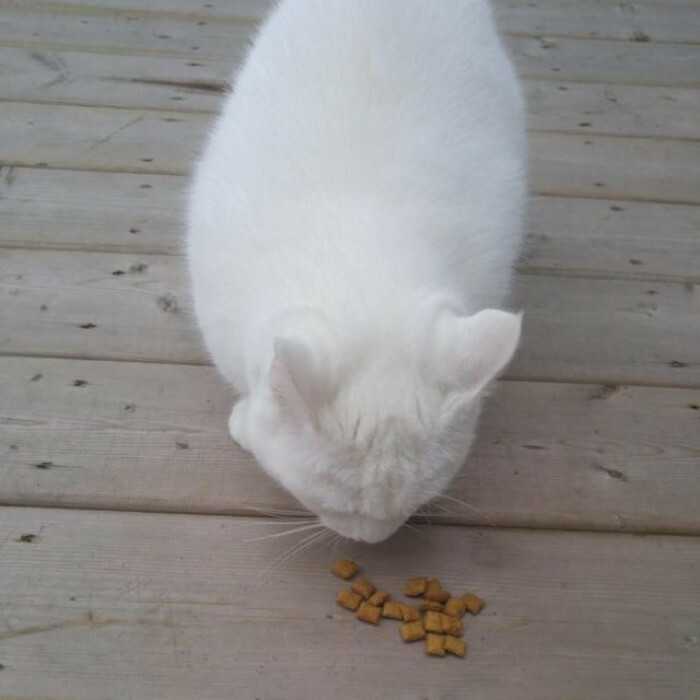 Now, once they open the door and acknowledge her she immediately starts headbutting their hands for some scratches and hoping they will give her some yummy treats. It's so strange and it is as if she has always known them! And it is safe to say that she has them wrapped around her paw. 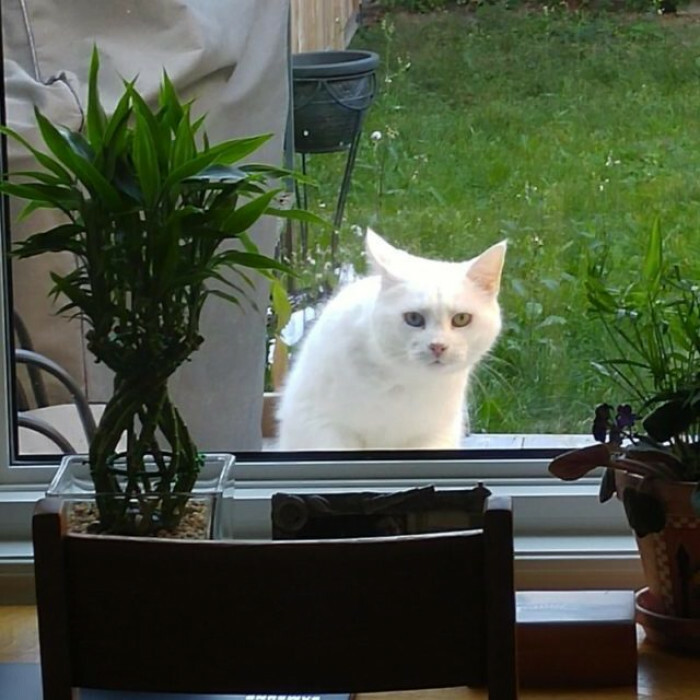 Antoine2249 doesn't mind at all, because who doesn't wish for such a sweet and cute visitor every single day. Mama has another thing that makes her extremely special and rare. 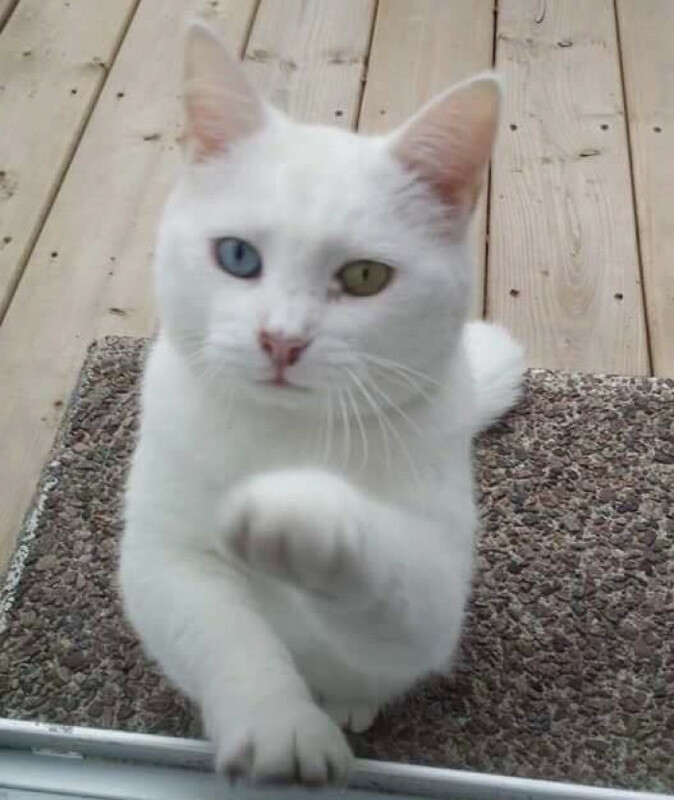 She has a condition called heterochromia, which is a rare trait where a cat is born with two different colored eyes. Her one eye is a forest green while the other one is as blue as the sky. 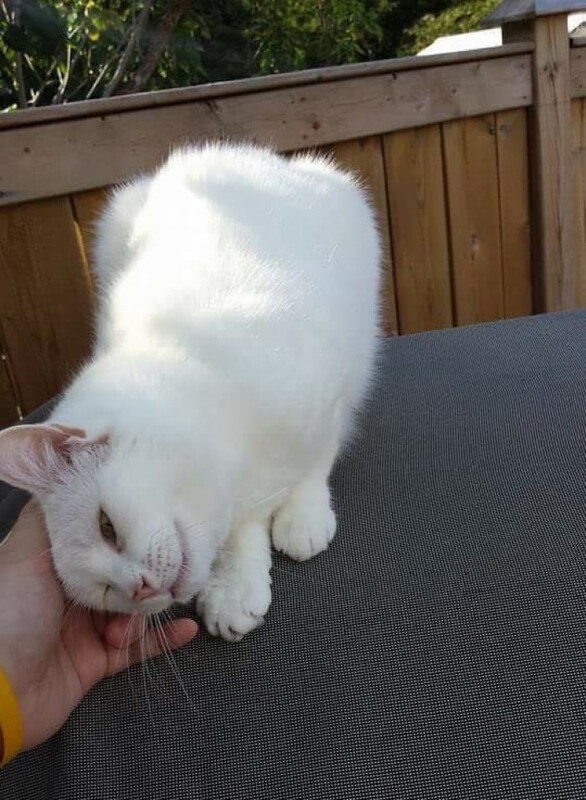 She is truly something out of this world and such a lucky kitty to have two loving families!